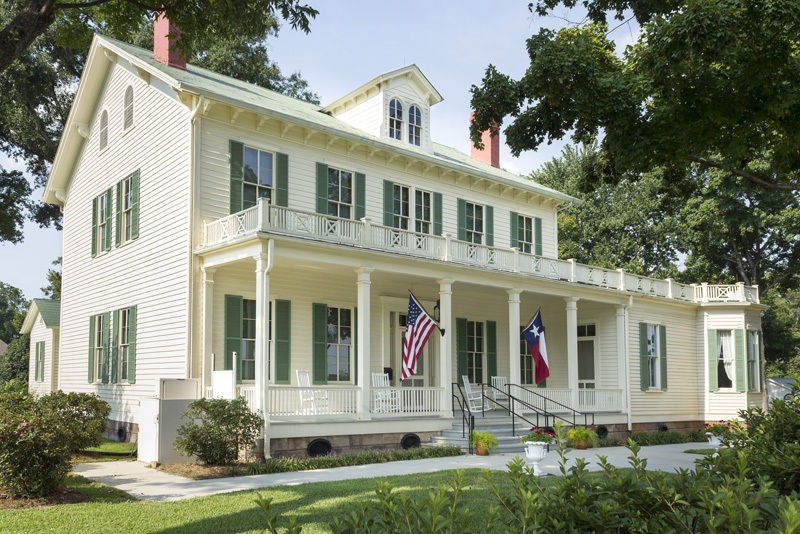 The Starr Family Home State Historic Site in Marshall was recently awarded the Lucille Terry Preservation Award by the East Texas Historical Association (ETHA) and the Texas Forestry Museum. The award—given for the site’s preservation work on Maplecroft, the 1871 home of the James Franklin Starr family—is named for Mrs. Lucille Terry, a charter member of the ETHA. 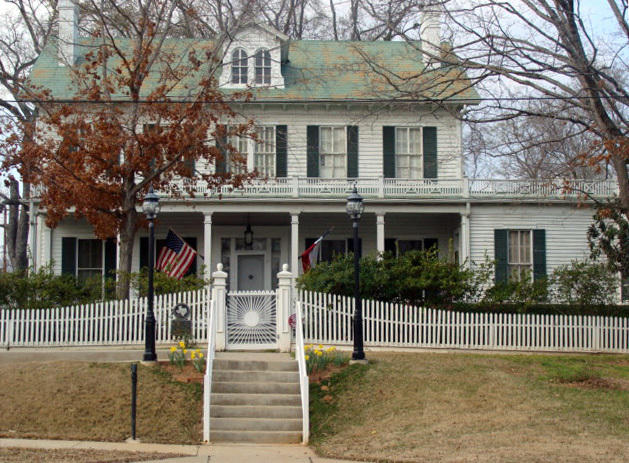 Built in 1871, Maplecroft is the centerpiece of the Starr Family Home. 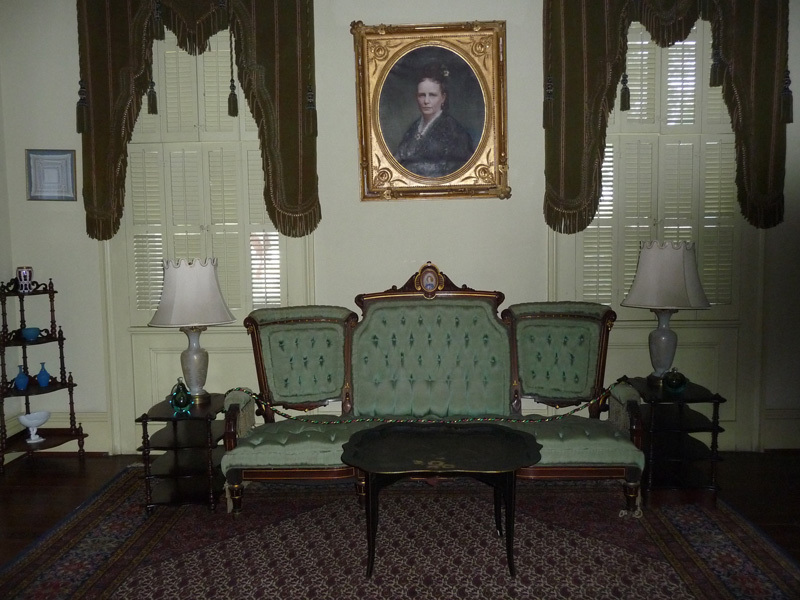 After being cared for by three generations of the Starr family, the entire site was donated to the state by Clara Pope Willoughby, granddaughter of Frank Starr, and opened to the public in 1986. In 2008, the Texas Historical Commission (THC) took over management of the site and began capital improvements. The improvements were part of the THC’s overall goal of long-term preservation. In 2010, the site closed to the public and work began. During this time, Maplecroft received new coats of paint—both inside and out—for the first time in nearly 20 years. During that time, a new heating and air-conditioning system, designed specifically for the structure, was also installed. This was only the beginning of a project that included improvements to the entire one-acre site and five other structures. While the contractors worked on structural improvements, the staff researched and assisted in creating a new interpretation plan for the site. 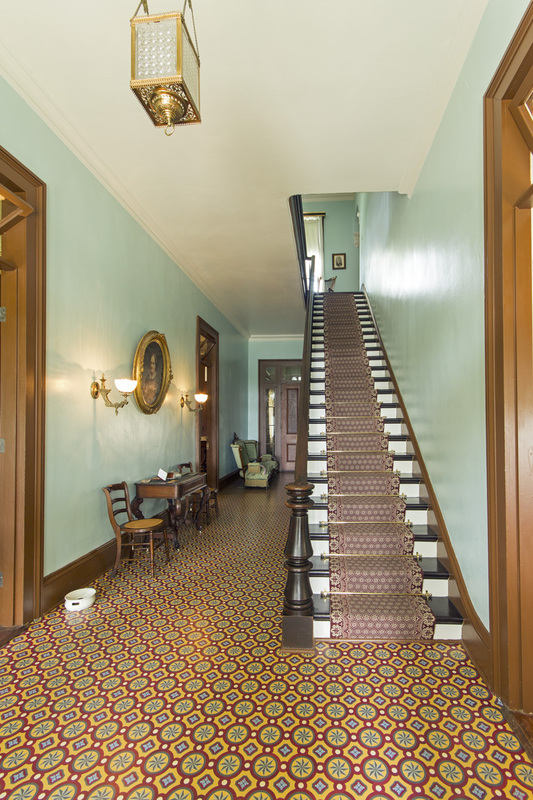 The Victorian era was chosen as the interpretive period as it had been the Starrs’ earliest occupation of the house. 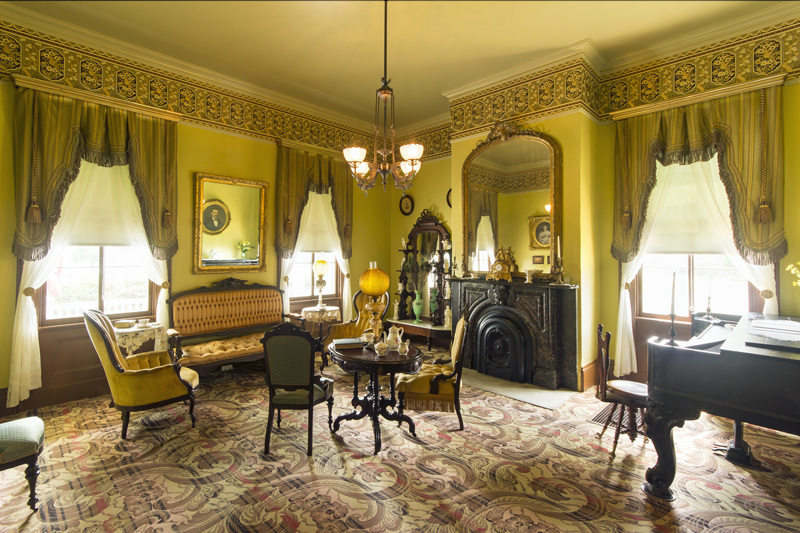 Staff painted and furnished Maplecroft to this time period, thus creating a beautiful late-Victorian home filled with Starr family pieces—furniture, portraits, and objets d’art. This completed most of the THC’s capital improvements plan, and the site reopened in 2011. The service wing in Maplecroft, which includes a kitchen, servant’s quarters, and breezeway, will be the final phase of the plan. Preliminary work has begun on this phase with an estimated completion date of 2018. 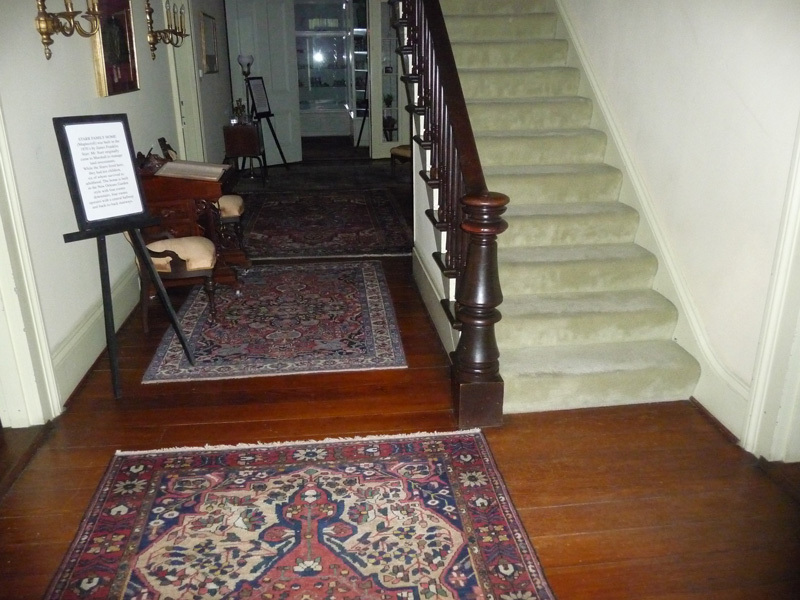 View the photo gallery below for images of the site before and after the preservation work. Starr Family Home is located in Marshall on the corner of Travis and S. Grove streets, in the Texas Forest Trail Region. Starr Family Home’s exterior before preservation.